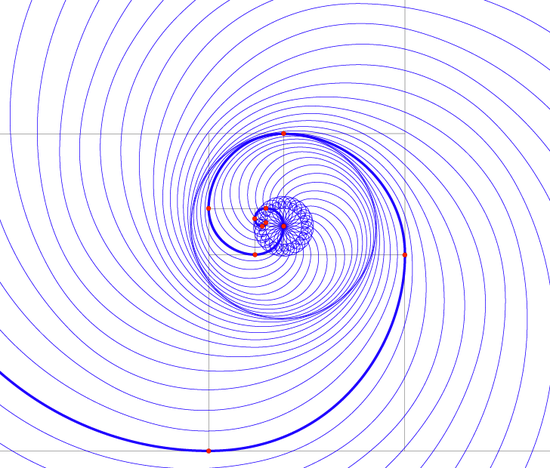 By duplicating and repeating the phi spiral in a circular array with a common center point a phi vortex is created (in this case, clockwise out from the center, see Illustration 4). The vortex is most commonly seen in water and air flows, as well as in galaxies, as depicted later. By duplicating the vortex, flipping it so that we have a complementary clockwise flow, and overlaying it onto the counter-clockwise vortex we create a phi double spiral (see Illustration 5). This is a fundamental field pattern that can be understood as a cross-section of a complete spherical/toroidal energy field. It is most commonly seen in plants and particular water flow wave patterns. When a phi vortex or double spiral is created a synergetic phenomenon occurs that is otherwise not apparent when viewing a single phi spiral. 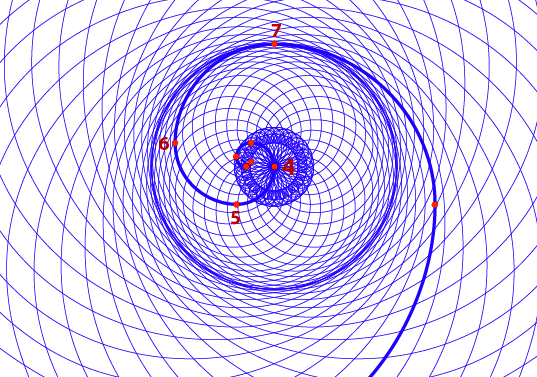 As can be seen in Illustration 5 above, at exactly 3 nodes out from the center point around which the vortex/double spiral is rotating there appears a distinct circle. This is the result of the phi spiral first expanding outward from the center, then as it completes its first three fractal arcs (nodes) it momentarily contracts back upon itself before expanding outward again. This creates a boundary condition, a circle (or sphere in a 3D field) that defines a potential surface boundary and a complementary inside and outside relationship to the energy field. This boundary can be seen as the necessary limit of a given entity required for the entity to come into form. 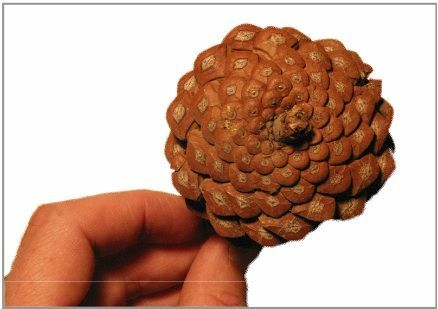 For example a pine cone has an obvious double spiral pattern inherent in its form that has a limit at which it stops manifesting in physical form (though energetically its field pattern extends beyond this limit, as is evidenced in Illustration 5).